Yesterday was a day of dirt. Ray and a team over at the neighbors started transporting dirt from the greenhouse to our yard. 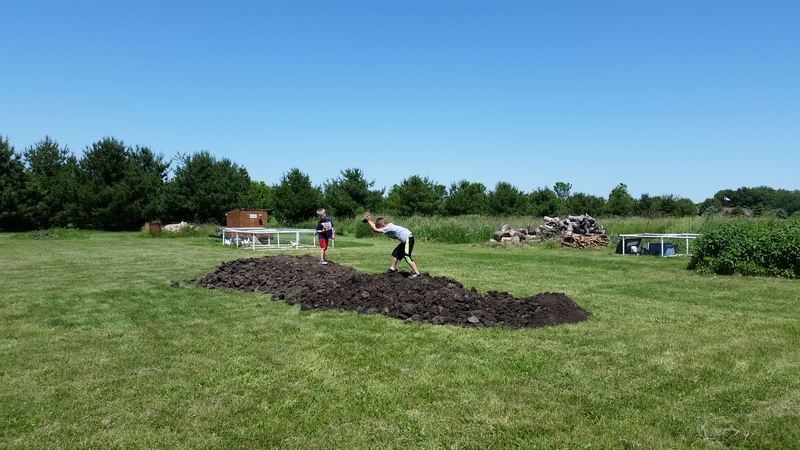 Joe and Jake helped by stomping and crushing the pile. 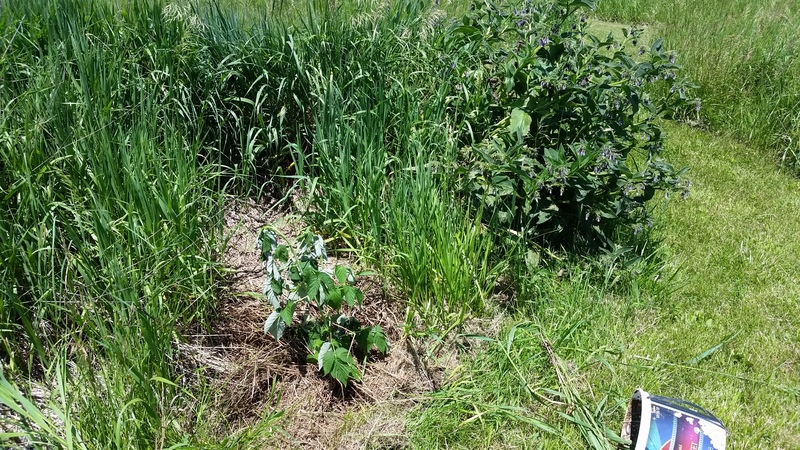 Meanwhile, I dug holes and transplanted raspberries and seaberries out in the swales. There are seaberries coming up everywhere in our fedge. They run under the ground and pop up in, around and between other rows. The root system runs wild under the ground from plant to plant. 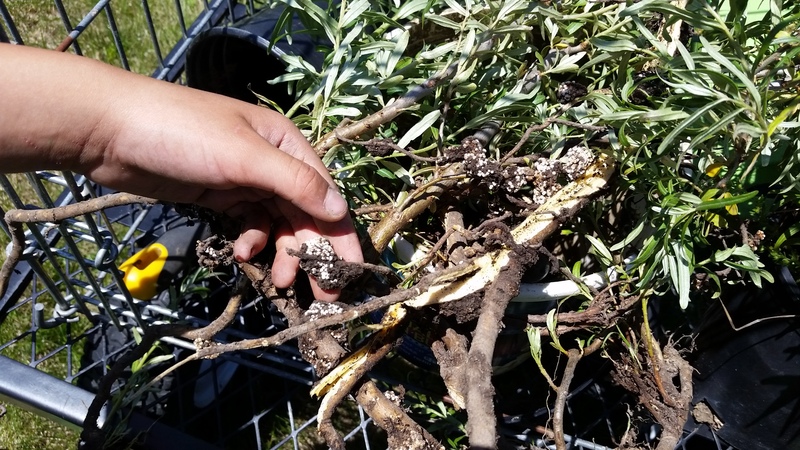 This means that when you dig one plant up, you usually end up with two or three all strung together. It wasn’t until I’d dug up the third plant that I’d noticed the nodules. All of those bumpy white nodes that look like a cluster of eggs are packed with nitrogen. They are just waiting to spread and feed the plants and trees around them. Pretty cool! 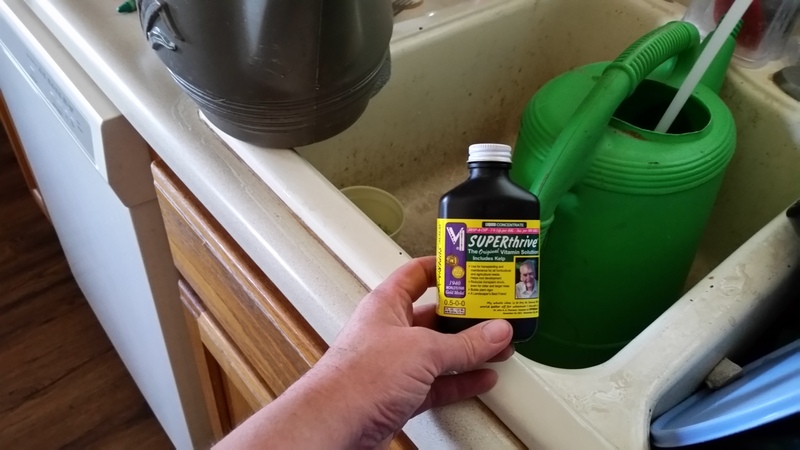 After all the raspberries and seaberries were in their new homes, I mixed water with some Superthrive, a liquid multivitamin for plants, and gave them a good soaking. By the end of the day, I’d transplanted 10 raspberries and 8 seaberries and we had a large chunk of dirt in our backyard. This entry was posted in Garden Stories, Greenhouse, Haiku, Life, Poetry, Writing. Bookmark the permalink.